Tony Horvath, long-time resident of Guy, Alberta, passed away on January 13, 2016, in Lac La Biche, Alberta at the age of 53 years. Tony was born in Calgary, Alberta and farmed for many years in Guy, Alberta. Tony was an avid Calgary Flames fan. Every time there was a hockey game on, he was watching it. 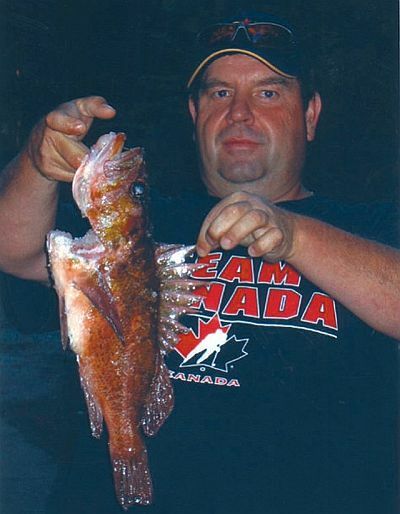 He also loved camping and fishing with his family and always took the fish off the line for us. Working for Northern Frontier as a Hotshot was his dream job and he drove many miles. He was predeceased by his farther, George, and his brother, David. He leaves his beloved children, Kolbie and Jared; and his wife of 20 years, Doreen. His childhood memories will live on in his sister, Kathy, and his brother, Mark. His mother, Rose, has joined him on his journey shortly after his crossing. Funeral services for the late Tony Horvath were held at the Parish of St. Guy on January 22, 2016, with Deacon Reg Bouchard officiating.